The ultimate computer for Mass & Balance and Performance. from the Cessna 172 R Pilot's Operating Handbook (POH). Finish your complete fight planning in just a few seconds. Performance planning has never been easier and quicker. 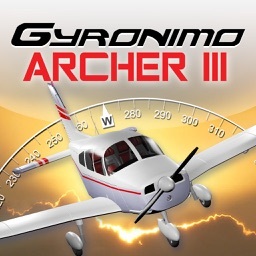 enhanced for the iPad 2/3 and iPad Mini. Change all important values using sliders. Experiment with the results and create "what if" scenarios in no time. 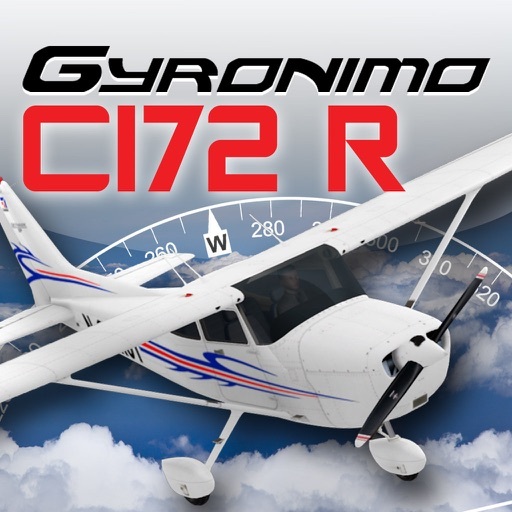 climb data and stall speeds. 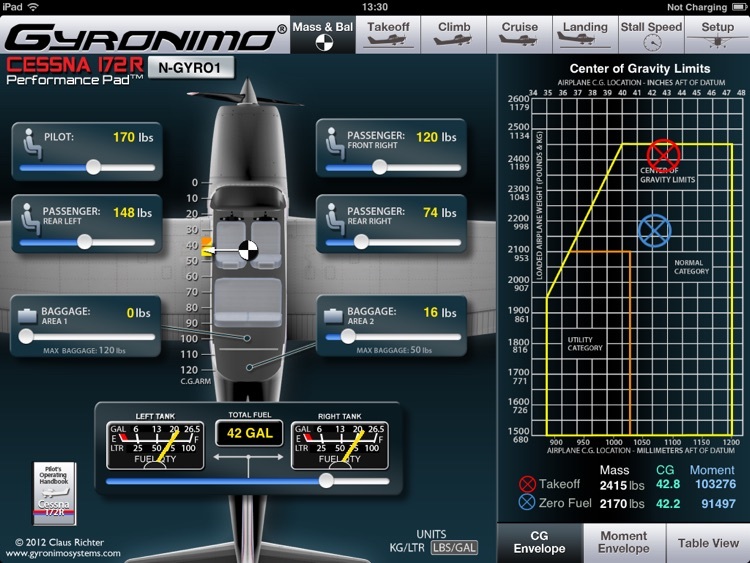 Calculates Center of Gravity, Moments, Takeoff and Zero Fuel Mass as well as Percent MAC (% MAC). Set person and baggage weights in seconds using the convenient sliders. 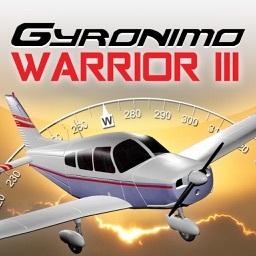 to quickly prove that you have completed the Weight & Balance for you flight. 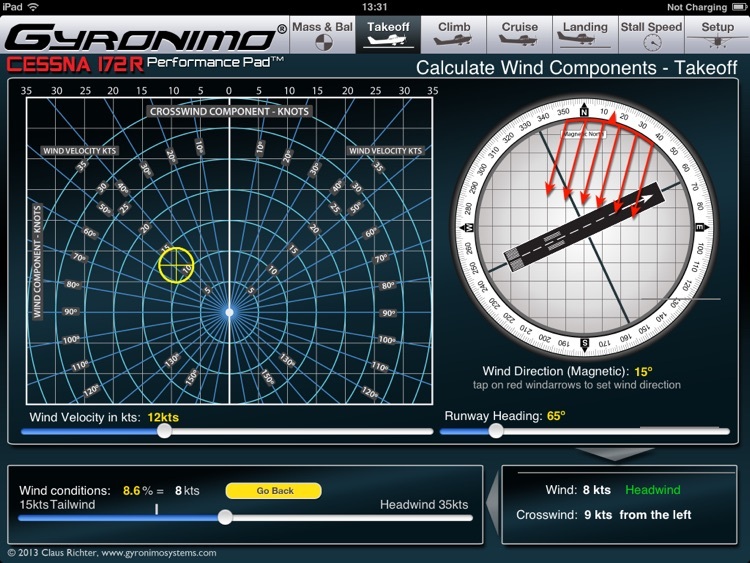 - Use the Wind Components page to determine your headwind or tailwind component. transferred to your takeoff computations automatically! 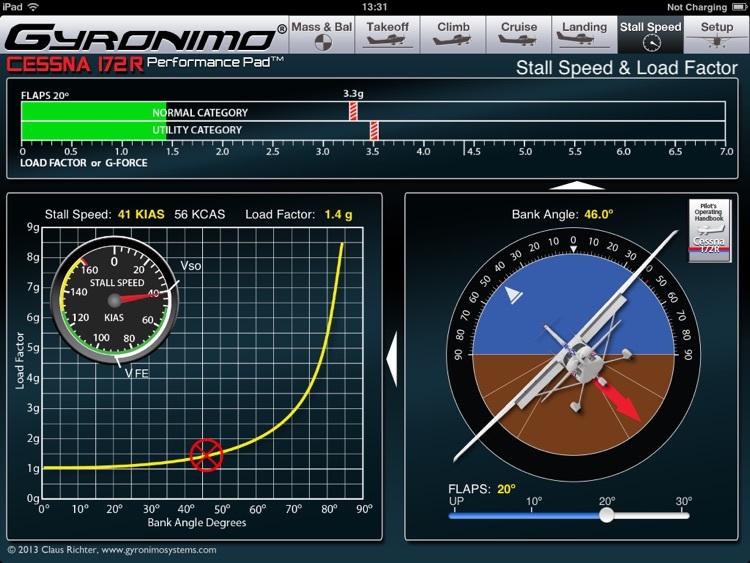 Also the Rate of Climb and Climb Speed will be displayed. The Max Range and Range including Reserve will be displayed graphically. 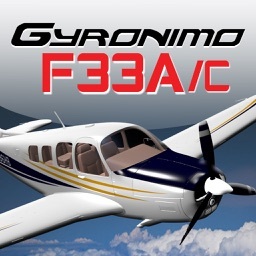 The Fuel Management allows to enter Reserve Time for Contingency, Alternate and Final Reserve. 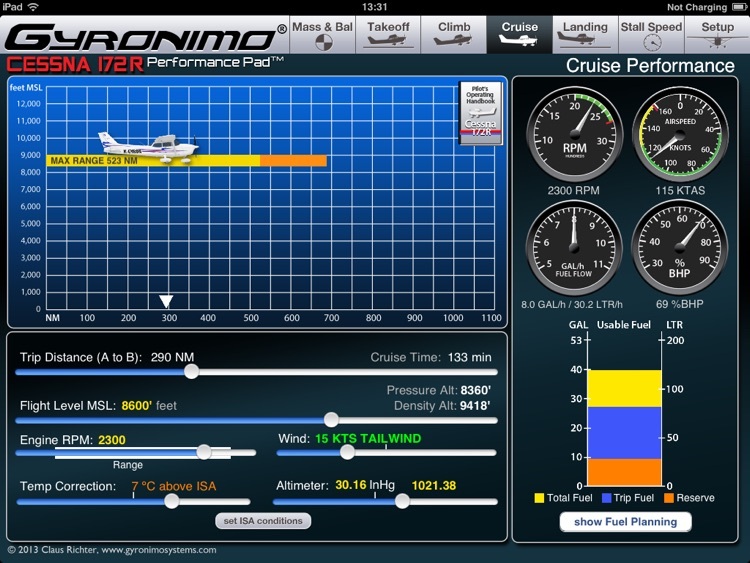 The Fuel Usage is displayed graphically. Fuel Efficiency is computed in Miles per Gallon and Liter per 100km to set set results in a perspective. 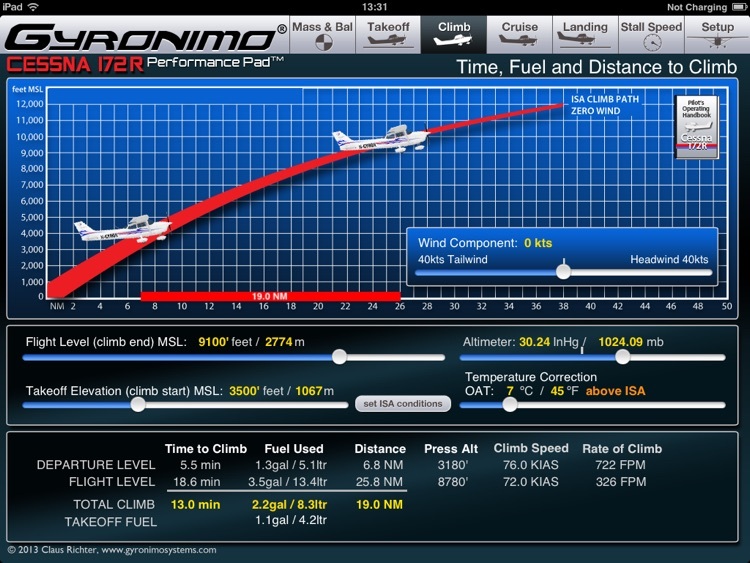 Calculates Ground Roll and Landing Distance based on wind, elevation, altimeter setting etc. Calculates The Stall Speed based on Bank Angle and Flap Settings. Stall Speed will be computed as KIAS and KCAS using the actual values from the Cessna POH. 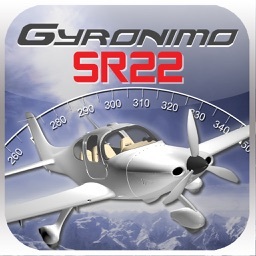 - Load and Save up to five Aircraft Settings and Scenarios. - Send a Mass & Balance Summary to your email address. - Visit our video channel and watch tutorials and video manuals.